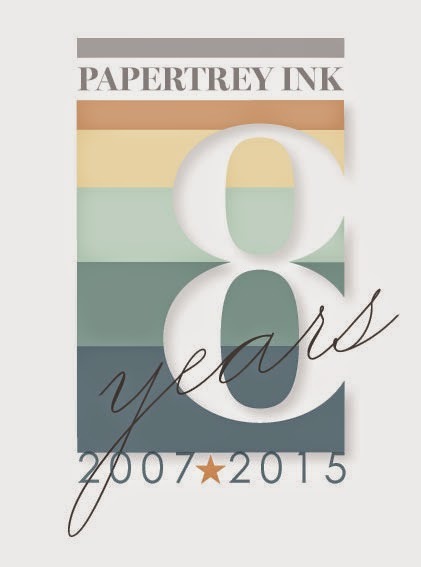 Hello, Papertrey Ink is still has plenty of challenges going on!! Day 7 challenge is Heavy Metal. I used Monthly Moments Journal card 2, Rustic Wreath die and Topiary Trio stamp and die. These last few days have been fun but eagerly wait for the 15th. This is absolutely beautiful! It looks like something from a specialty stationary store. Do you know Bev from the blog "Happy Dance"? I was just introduced to her yesterday, she lives in Racine! Gorgeous!! So elegant and beautiful!